Every Monday at the Cut, we're highlighting one great purchase that won't take up your whole paycheck. If you're looking for a splurge instead, check back every Friday for one great purchase that's worth eating ramen noodles for the rest of eternity. Does anyone really like flip-flops? Or are we all hoarding our ratty old pairs because they're convenient for the beach? These slides are an upgrade that have the benefit of working for any outdoor occasion, from pools and beaches to picnics and barbecues. 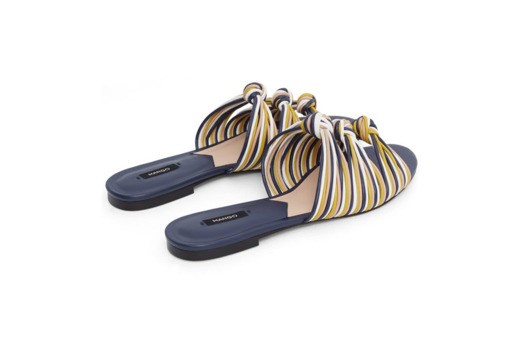 The blue-and-yellow knot details keep your look playful and add a bright touch to any outfit. Even the tan lines will be kind of cute.